​Iron Barre is a hybrid of Ballet Body and weight training to achieve lean muscle from weights with the slimming effects of barre training. This method combines the slimming benefits of barre with the proven, body-shaping results of traditional strength training. 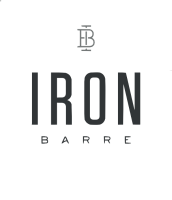 Iron Barre offers a comprehensive training approach as it specifically targets muscle groups that need more than body weight training alone for lean muscle growth. The exercises in Iron Barre are a collaboration of classic strength training with an integration of heavy resistance safely applied to signature Ballet Body exercises.